Murugi has been on my Go List for about twenty-five years now. 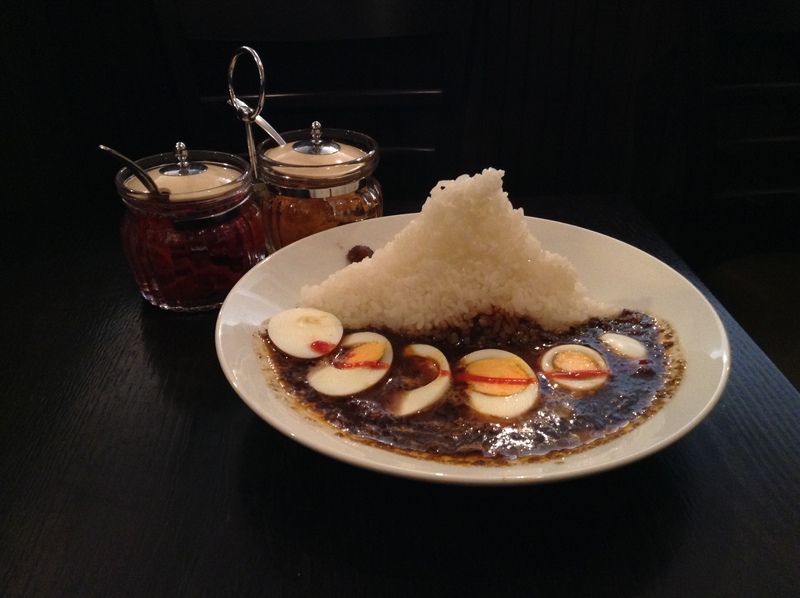 Famous for its curry, and the unusual presentation of the tall rice behind the curry. The popular dish is the tamago-iri curry, curry with a hard-boiled egg (1,050 JPY). It is served with a small portion of a fruit paste, to be mixed into the curry to add sweetness. There are no chunks of vegetables in the curry, just a thick black curry with a strong flavor of ginger. I believe the meat is ground chicken, but it is hard to tell. The curry is served with two jars of pickles, red ginger and yellow daikon, both are a nice accent to the curry. The curry is not that spicy and diners can ask for it to be made hotter for a small charge. Opened in 1951, the shop is nestled amongst the Love Hotels of Dogenzaka. The brick exterior of the door surrounds the sign which uses the kanji for India, 印度, instead of katakana which we see more often these days, インド (both pronounced Indo). 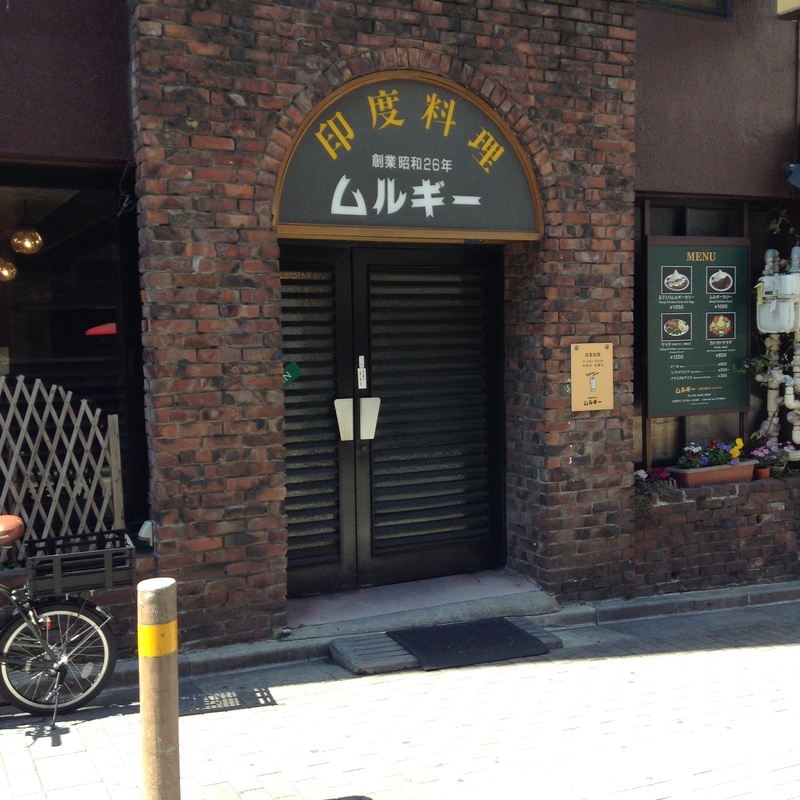 The shop opened in 1951 and is included on many round-ups of curry restaurants in Tokyo. The interior is dim and dark wood fills much of the shop. The diners are a mix of young and old. Next to me is a table of salarymen, also first-timers, and like me excited to finally have made it to a shop that they have heard so much of. A CD player to the side of the room with CDs lined up against the wall provide the music. Today it is Lionel Ritchie, a nod back to about 30 years ago, when Murugi was first put on my radar. I am glad I finally made it, and look forward to going back.